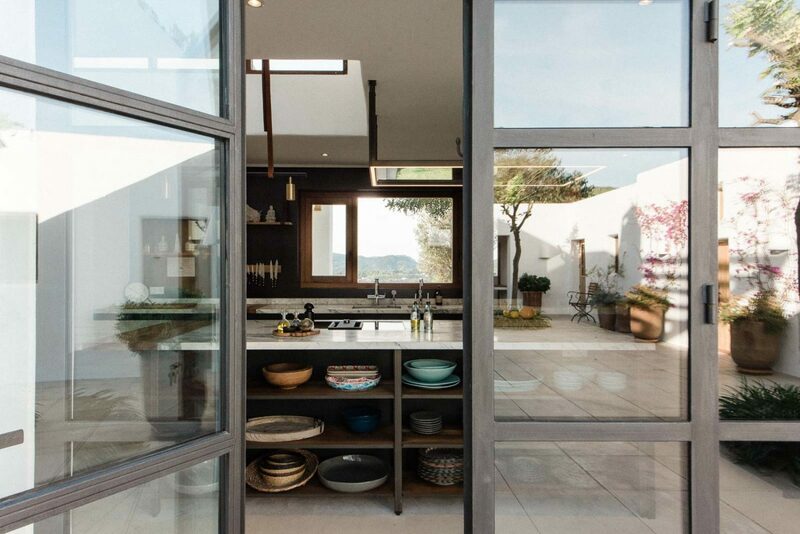 Near the beautiful beach of Benirras, Ibiza Interiors has designed the interior of one of the nicest houses in the north of the island. 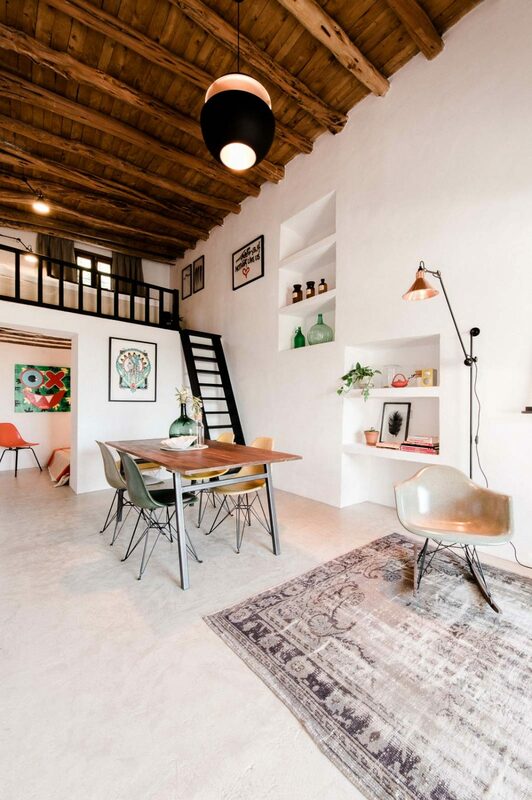 The finca is designed as a family home with a beautiful view on the campo and the sea. 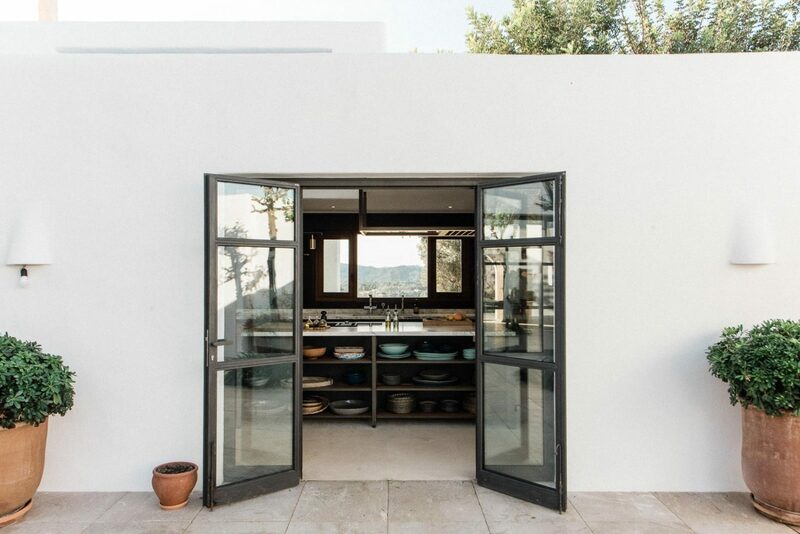 Blakstad was responsible for doing a total renovation of the finca, while we were working on interior elements like the kitchen, furniture in the living areas and curtains throughout the whole house. 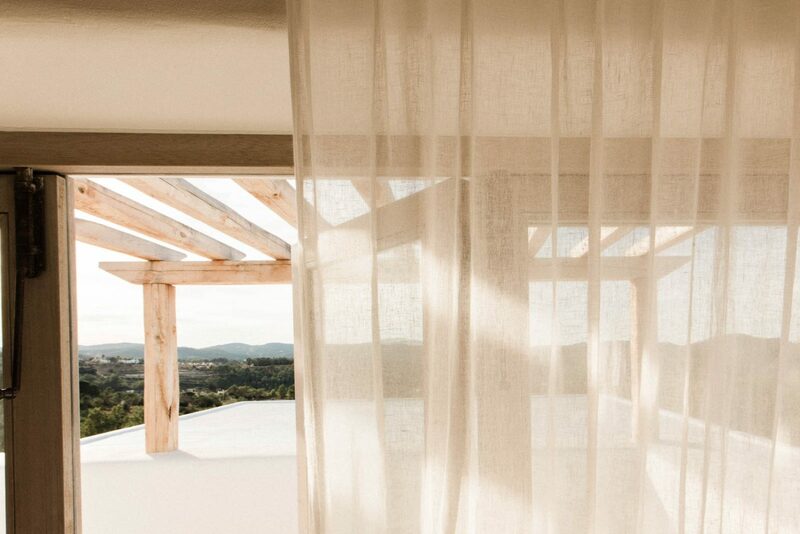 The building’s interior is characterised by savina wooden ceilings and white stucco walls, while the outside consists of a huge veranda with an amazing view and a welcoming courtyard. 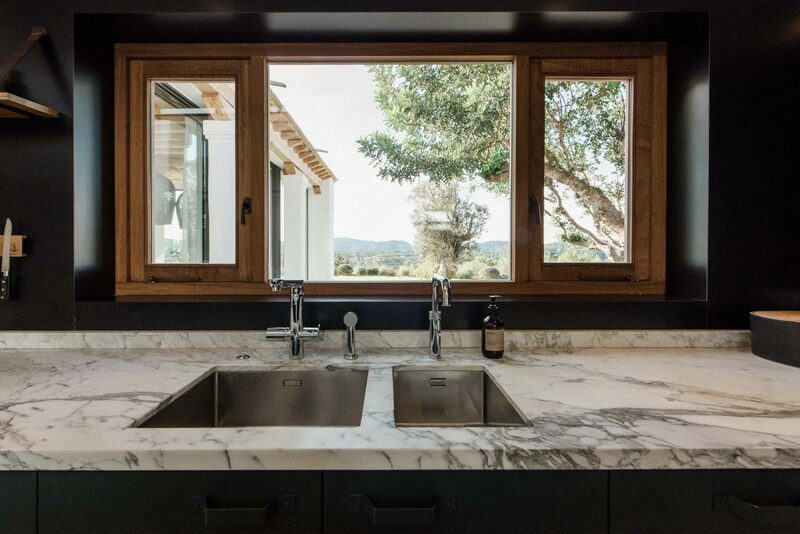 As an interior architecture studio we have tried to preserve the beautiful traditional elements of the architecture as much as possible and at the same time we have created some contrast by for example adding a modern dark steel Eginstill kitchen. 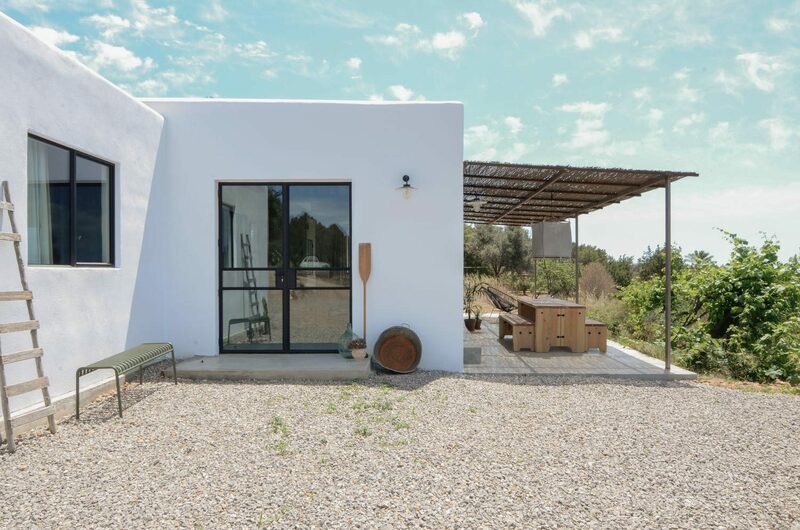 The large steel windows that have been added to this Blakstad finca give the space an amazing view on the campo, furthermore they enlarge the interaction with the surrounding nature. 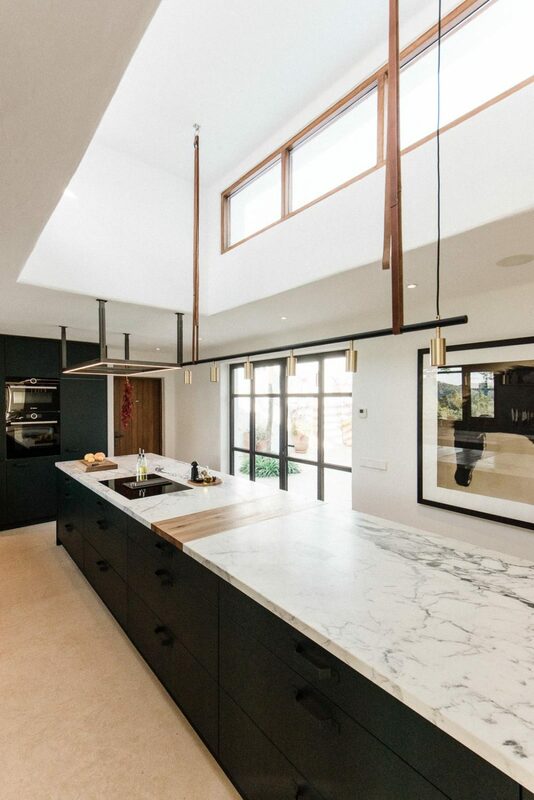 Also in the kitchen large windows have been added, to make the space feel brighter and larger. 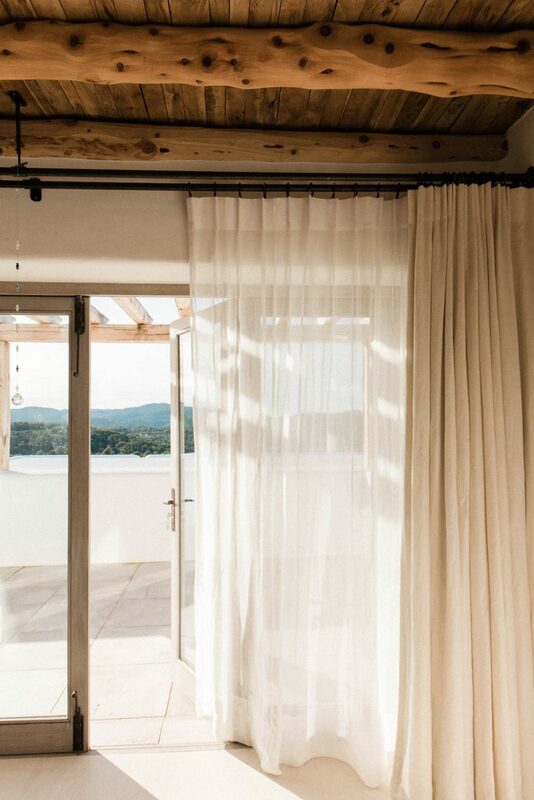 We’ve added the most beautiful linen curtains throughout the house. Lace curtains in the living room, linen roman blinds in some bedrooms, and also double curtains with blackout in the bedrooms. 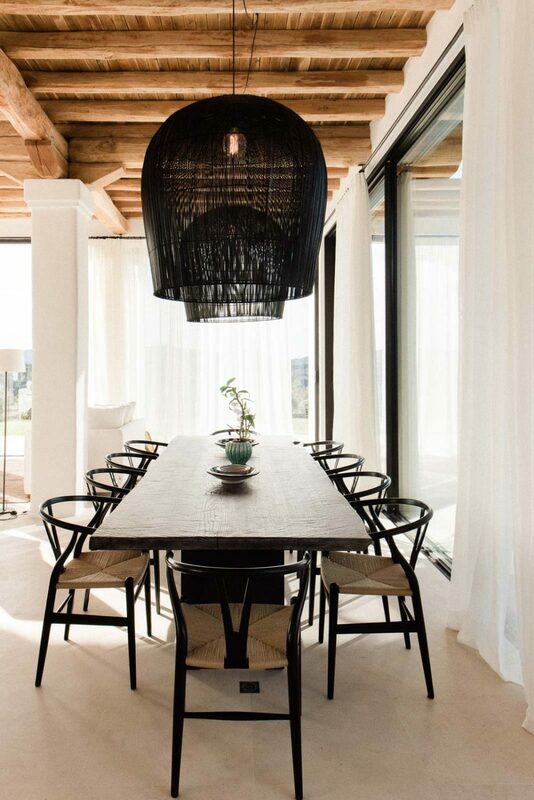 All the upholstery is 100% natural and hanging on our raw steel curtain rods, they are a timeless finishing touch to this amazing home. 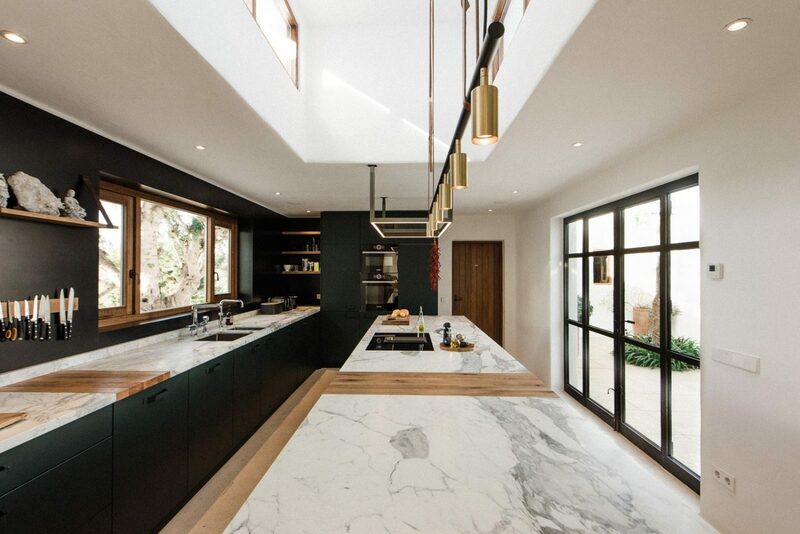 The kitchen is made from sustainable birch plywood and dark-green powder coated steal with white marble on top. 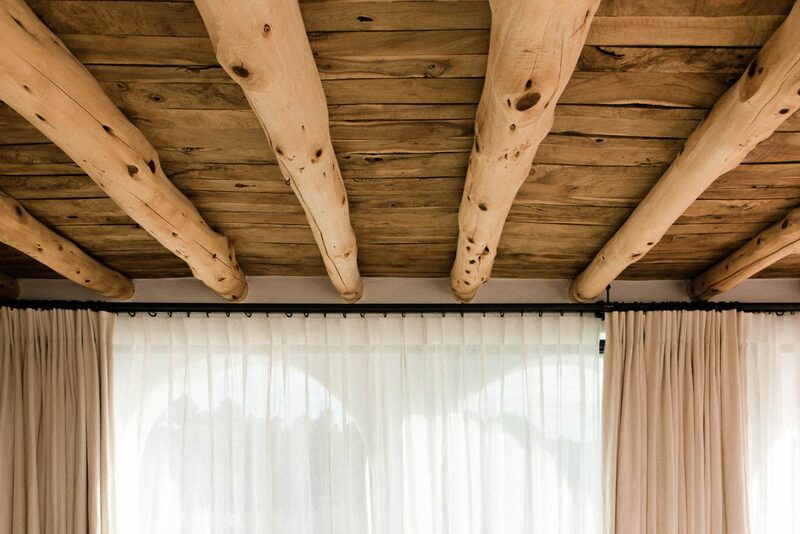 These rough and at the same sophisticated materials give the interior a modern and luxury feeling. For the rest we’ve added beautiful (handmade) design furniture by some of our brands; which were carefully chosen by our very nice and talented client (yes, we’ve really put this in ;). Brands you see here are Carl Hansen, Ay Illuminate and Heerenhuis, of which we are all dealer on the island. 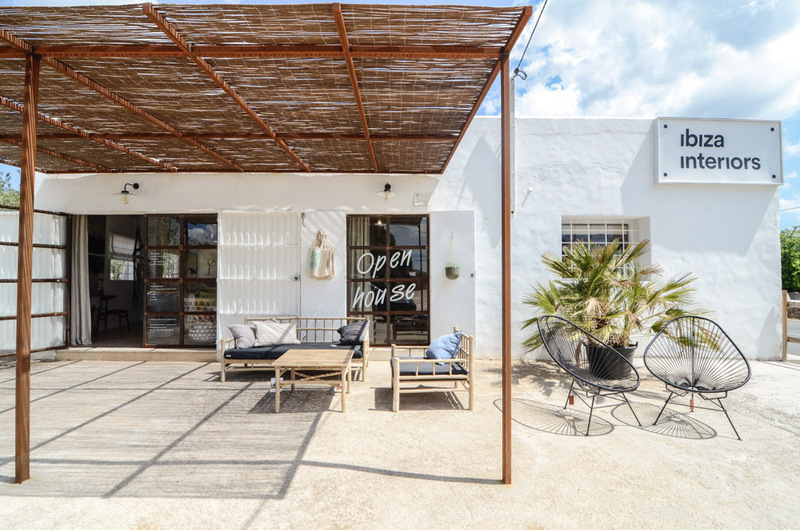 The entire interior has a natural contemporary character and has been designed with respect for the traditional ibiza style architecture. 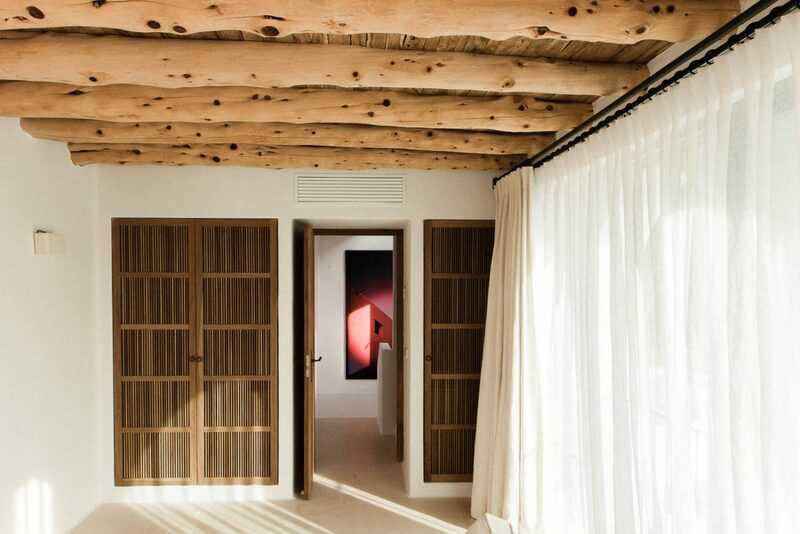 Ibiza Interiors meets Blakstad architects, the best of both worlds.